Stoked up the fire this morning and first light here is a lot earlier than it was in Birdsville as well as much warmer overnight temperatures – was 6.7° this morning at 7am as opposed to -1° at Birdsville in the morning. After we packed up, we decided to drive on just a little further because we felt we weren’t in the right spot. What did we find? The right spot! This one was on the river and wide open places to camp. However, last night did us well and we couldn’t complain. We were the only ones around at any rate. We came across this amazing relic of an old car that Mother Nature was determined to claim back. I love the colours of the rust against the blue of the sky, the green of the trees and the stark sandy colours of the ground. Nothing can hold Mother Nature back once she starts reclaiming what’s hers. Time to move on to Nindigully for our last night away from home. 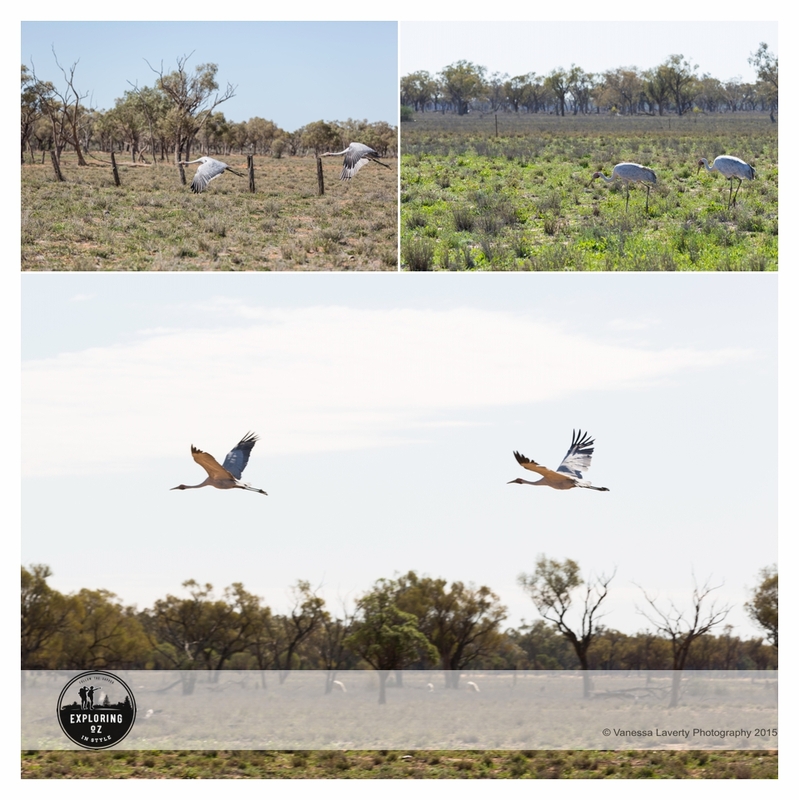 Emu’s aplenty in the paddocks left and right of the highway from north of Cunnamulla on the Mitchell Highway. Also came across this pair of brolga’s which were quite happy to almost pose for me. Water was seen lying in the pastures by the highway and green shoots everywhere at the moment. 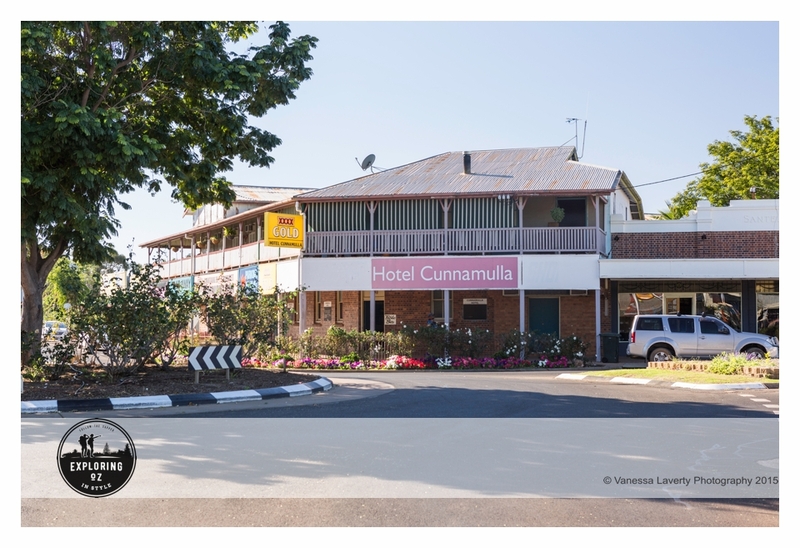 Stopped at the famed Cunnamulla for smoko and we decided to take some time to check out this lovely little town. 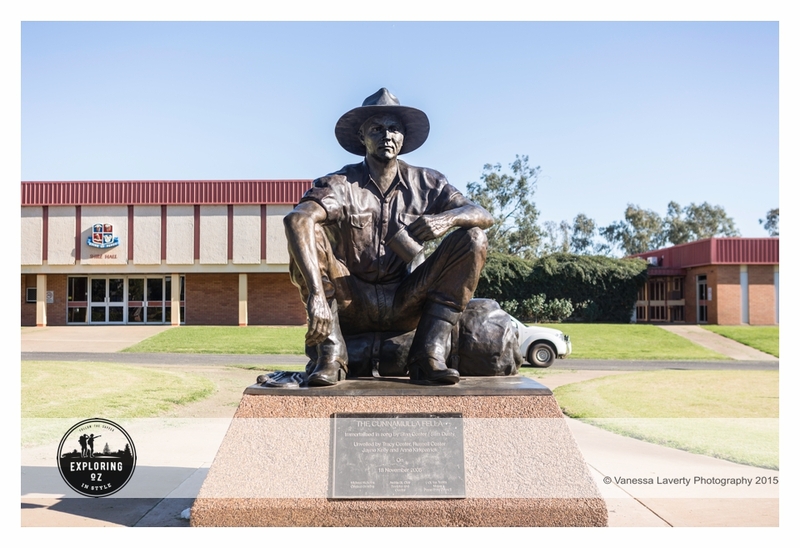 Of course, Cunnamulla most famous for the song penned by Stan Coster and Slim Dusty in ‘Cunnamula Fella’ and a statue has been erected to honour this. 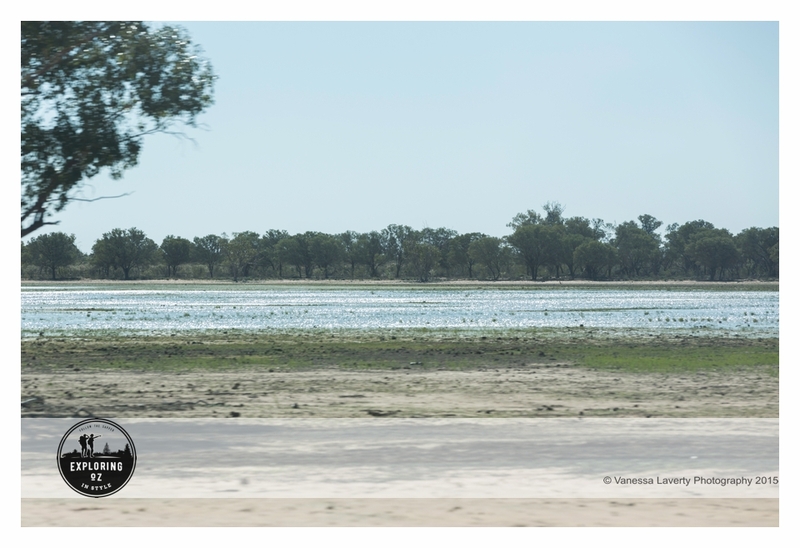 The township itself is much bigger than either of us anticipated (we had likened it more to the size of Quilpie before we saw it). The beautifully kept main streets are testament to the locals and their steadfastedness to rise above the challenges of drought and all it entails. The town is pretty and the coffee shop we stopped at had lovely coffee and pleasant locals saying ‘hi’. Fuel here was $1.37/litre. Some sadness today as we saw a dead dingo strung up by his hind legs to a tree and an emu sitting beside his dead mate by the side of the road. You could almost see him mourning his mate and willing him to get up and walk beside him again. Too sad for me (even as I write this many weeks later). 160km from St George, this little town should be on your list of places to free camp at. Beautifully kept with green lawns and verges and a new levee bank to stop the floodwaters which ravaged the town previously. 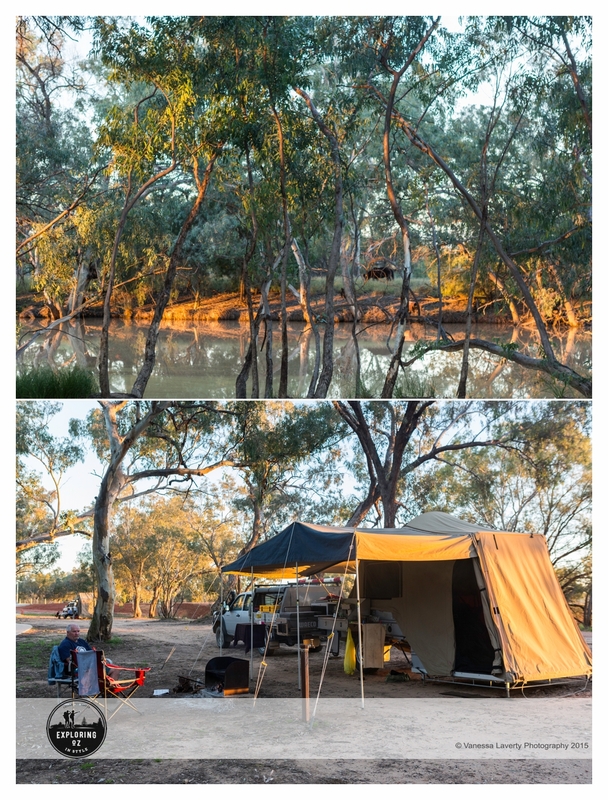 The free camp is on the river on the left hand side as you come in from Cunnamulla, with plenty of shady sites and fire places set up for you. A pleasant walk along the banks and you’re at the free toilet/shower facility within minutes. There’s a dump point there as well. Along the walkway into town they have even supplied exercise equipment for those so inclined. Bollon is well known for its numerous shearing teams and long association with that profession. Many of the town’s male population work in the industry. Deb’s Cafe offers a hearty meal, burger or coffee (and you would do well to stop and have a burger – highly recommended). 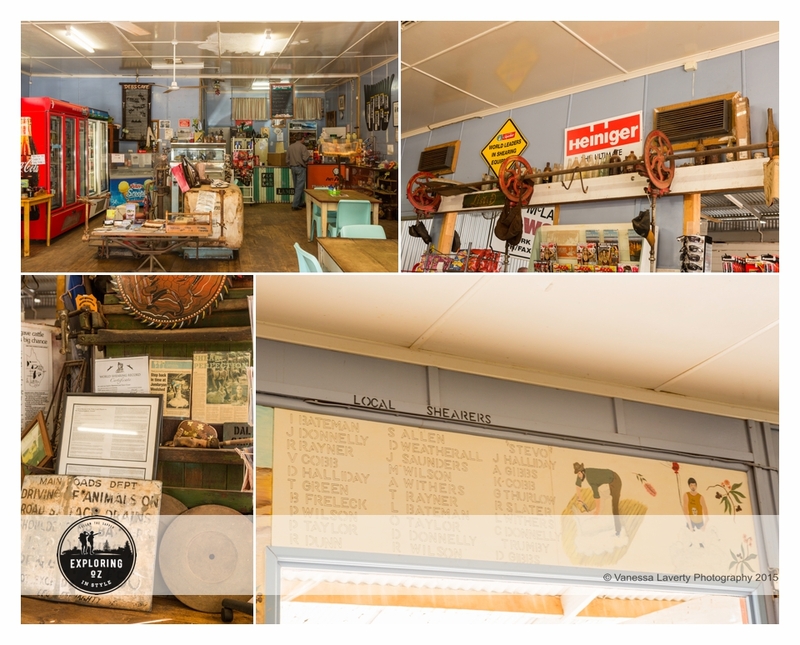 The Cafe also features a tribute to the shearing profession and it’s easy to get lost in time while you’re waiting for your order when you wander around the cafe looking at the artefacts around the shop. You can also pop into the Bollon Hotel for a meal and accommodation if you prefer. The Bollon Heritage Centre is also well worth the visit with knowledgeable locals manning the centre to answer your questions. Leave enough time to spend there though, as you can easily spend a few hours just wandering around in there. The Walter Austin Memorial Park holds the Bollon Returned Servicemen Memorial Wall and features Flight Lieutenant George John (aka Jock) Steele who served in the RAAF during WW2 and was awarded the prestigious Distinguished Flying Cross (DFC) Medal. 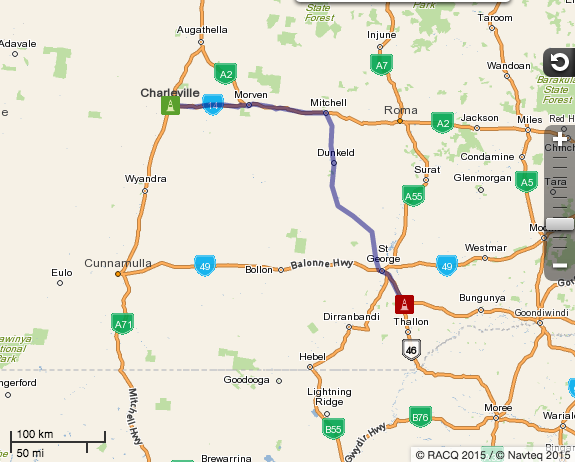 There is also the Thrushton National Park about 40km N/E of Bollon (via dirt roads) for the serious 4WD enthusiast. Headed into St George and just beat the rain. Stopped only long enough to fill up with fuel then headed to Nindigully. However, we picked up a brochure about the St George Yellowbelly Country Music & Poets Festival which is held at the St George Showgrounds in mid-July. 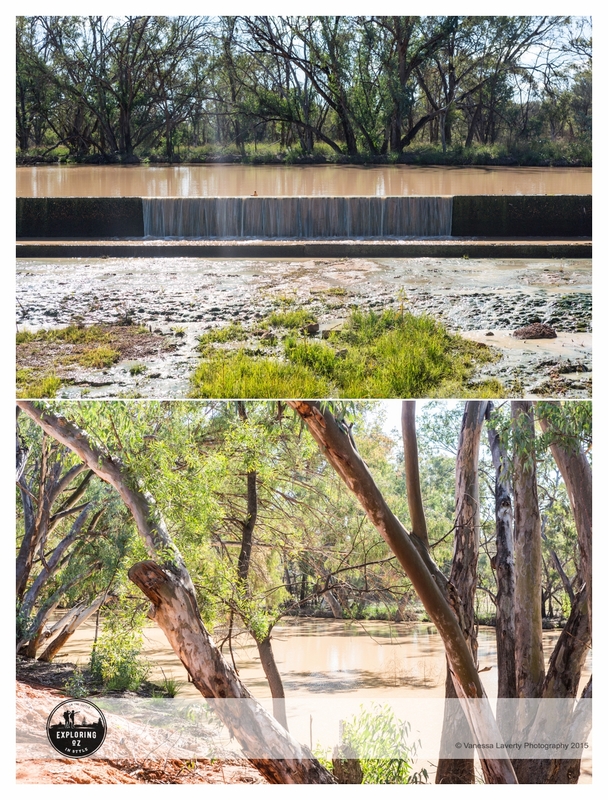 (For more information on this, you can contact the Balonne Shire Visitor Information Centre on (07) 4620 8877). The festival goes for a week and this year featured artists such as Allan Caswell, Chad Morgan and a host of others. Camping is $15/vehicle per night for a powered site, $12/vehicle per night for an unpowered site with amenities and dump point available. Dogs are allowed but must be on a lead and away from venue and eating areas. 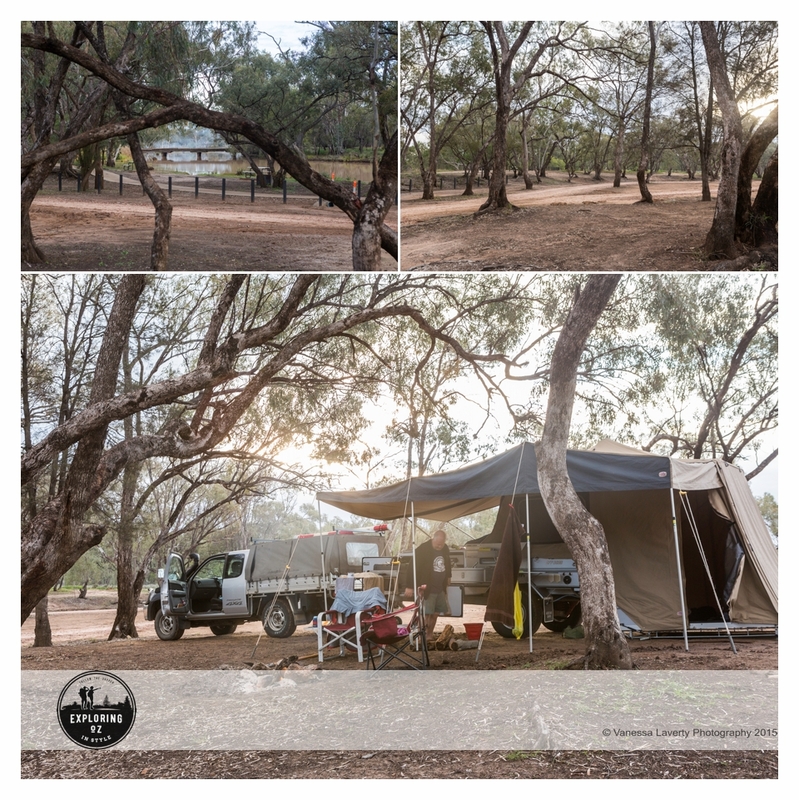 With the rain starting to really throw it down, we headed out of St George off to one of our favourite camping spots at the Nindigully Pub. I’ve written previously about this amazing iconic pub and it’s beautiful surrounds here so read about all it has to offer and do yourself a favour and get out there. Plenty of space. When we arrived, it was showering so we found a beaut spot, set up camp and I dug out all my warm clothes while Damian started a fire to take the chill off. We treated ourselves to a meal at the pub and, as we didn’t have the dogs with us this time, we took the time to look at the walls and all the memorabilia that was around the pub. What an interesting place. Photos below of our space and the surrounds. Well, in the morning we packed up for the last time and headed home. We had a great time on this trip and the BRB will always be high on our priority list for another trip.